Lixoft is running a 1 day hands-on workshop on the Monolix Suite on Tuesday the 6th of June. The course is designed for modelers with none to intermediate knowledge of the MonolixSuite. It will present the full modeling and simulation workflow on concrete examples using the 4 applications of the suite: Datxplore for the data visualization, Mlxplore for the exploration of the model behavior, Monolix for parameter estimation and model diagnosis and Simulx for clinical trial simulations. The course will in particular focus on the modeling strategy, the model implementation and the model diagnosis. Two real case studies will be used, covering a PK and a PKPD example of modeling and simulation. Dr Géraldine Ayral is a multidisciplinary scientist with a main interest in pharmacometrics. She joined Lixoft in 2016 as VP Applications, where she is in charge of the support, the training, and the technical communication. Geraldine holds an engineering degree from Ecole Polytechnique (Paris, France) and a Master in computational biology from ETH Zürich (Switzerland) in 2012. 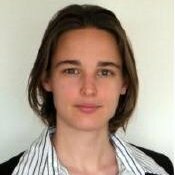 After an experience as assistant project manager at SoBios, a start-up developing software for modeling and in silico simulation, she started a PhD in systems biology and multi-scale modeling at INRIA Paris. She received her doctoral degree in 2016.